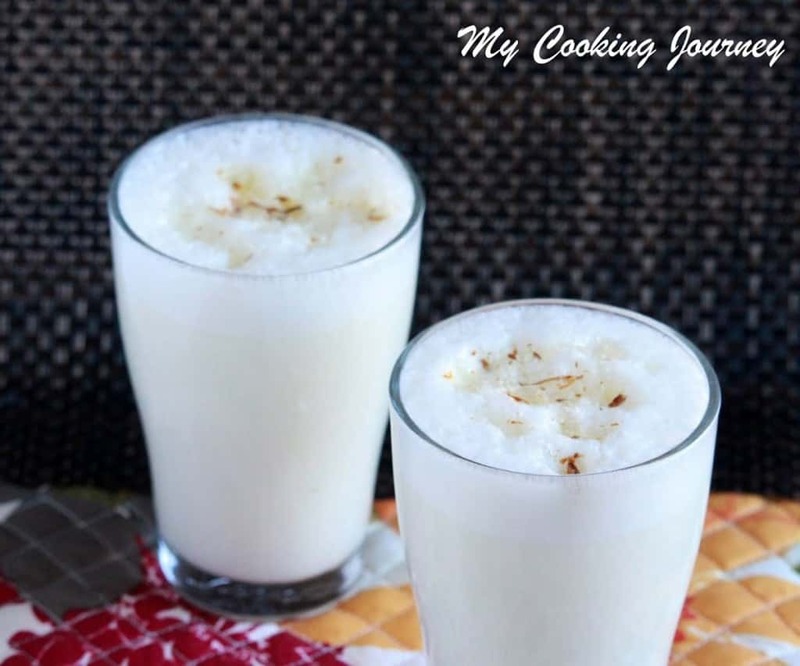 For the third day of blogging from the partners blog, I chose to make this creamy and delicious Lassi from Kalyani’s space. 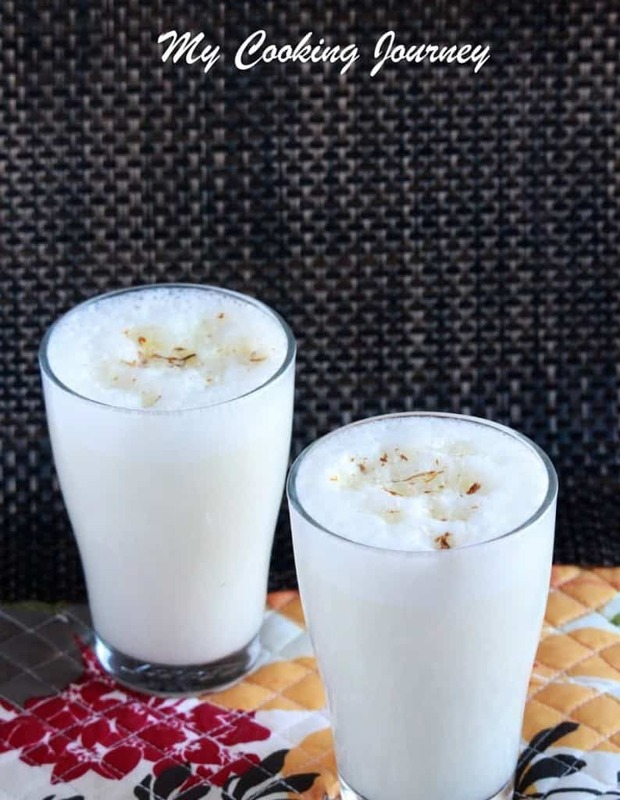 This lassi is famous in Haryana which is famous for its dairy. 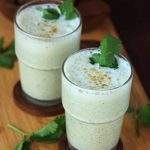 I love lassi and it is something that I drink often with lunch in summer. 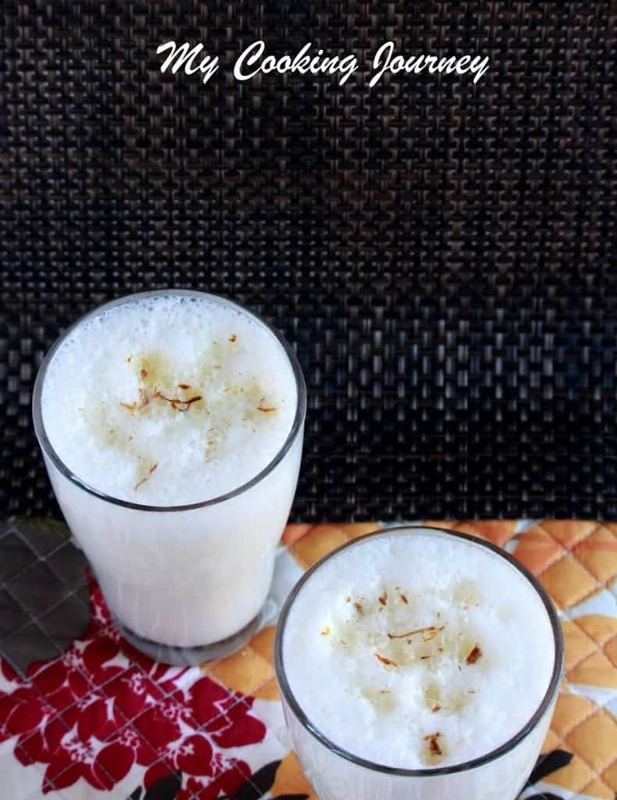 I make it with salt at times, but mostly it is the sweet lassi as that is something I prefer over the salt one. 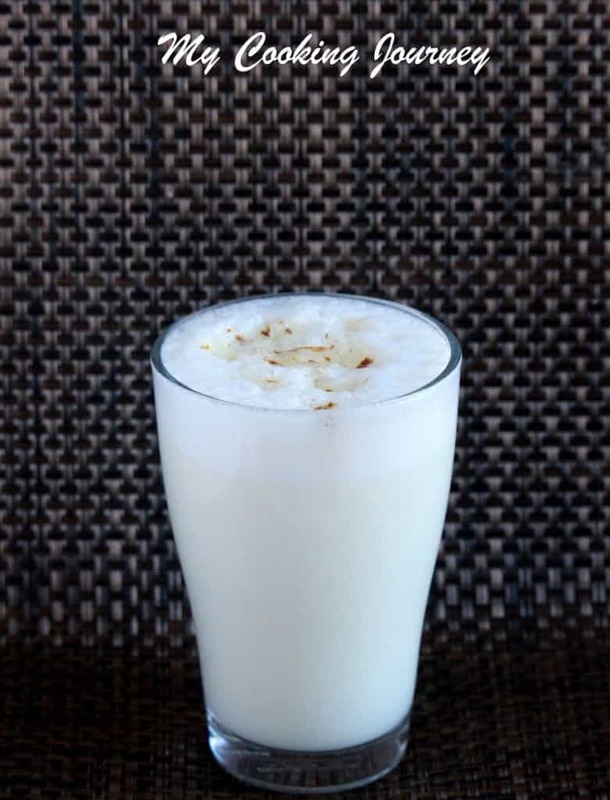 This lassi recipe had saffron in it which just made it very flavorful. 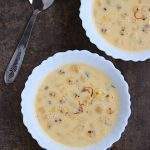 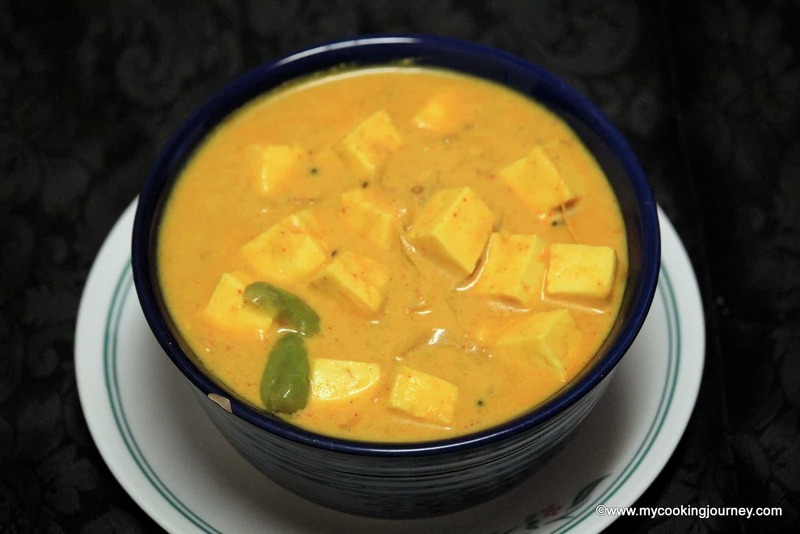 Also Kalyani had added some hot boiled milk to the lassi when churning that gave it a lot of creaminess. 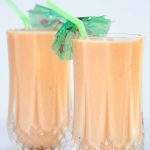 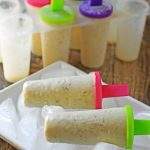 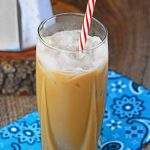 You can make this using your hand blender (which is what I used) or in the regular blender. 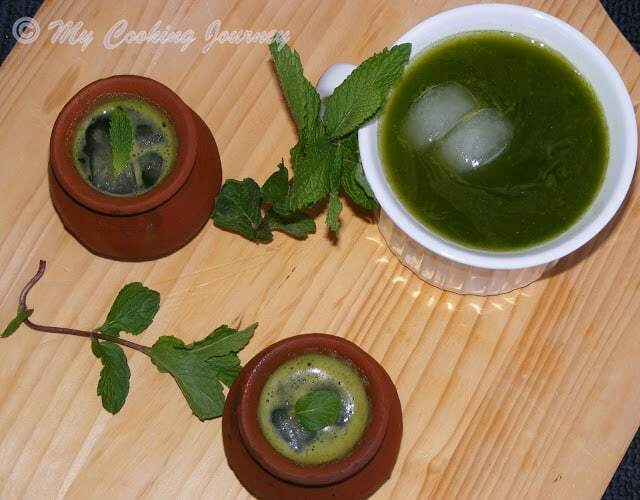 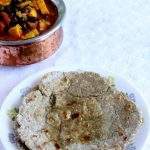 Combine all the ingredients (except saffron) and blend it in the blender or using a hand blender. 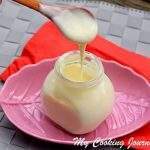 Blend it thoroughly until the mixture is frothy. 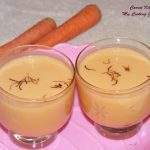 Pour the lassi in tall glass and top with the saffron.